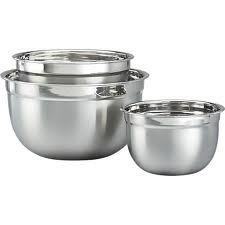 We are an eminent organization engaged in importing, manufacturing, supplying and exporting a wide range of Stainless Steel Kitchen Ware. Under the offered range, we have Tope, Flat Bottom Tope, Prabhu Chetty, SS Handi, Punjab Handi and Serving Handi. We manufacture the offered steel kitchen ware by making use of best grade raw material so as to ensure their resistance against rust. The demand of offered steel kitchen ware is high, owing to their fine design and superior finish. With the support of our craftsmen, we have been able to provide our clients with the best-in-class range of Steel Bowls. Designed to perfection, these offered products conform to the defined parameters of the industry and prevailing markets trends. Furthermore, to cater to the divergent demands of the customers, we offer these products in different sizes and significant designs. With the support of our craftsmen, we have been able to provide our clients with the best-in-class range of Mixing Bowl Set. Designed to perfection, these offered products conform to the defined parameters of the industry and prevailing markets trends. Furthermore, to cater to the divergent demands of the customers, we offer these products in different sizes and significant designs. With the support of our craftsmen, we have been able to provide our clients with the best-in-class range of Stainless Steel Glasses. Designed to perfection, these offered products conform to the defined parameters of the industry and prevailing markets trends. Furthermore, to cater to the divergent demands of the customers, we offer these products in different sizes and significant designs. Understanding the requirements of patrons, we are engaged in offering premium quality Sauce Pan. 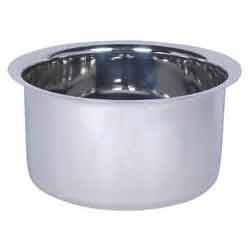 Manufactured utilizing best grade raw material, these sauce pans are in-lie with established quality standards of the industry. 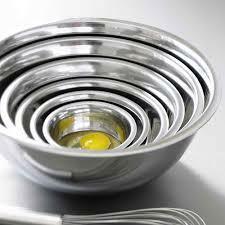 Post production, we make these sauce pans undergo a quality check so as to ensure their peerless standards. 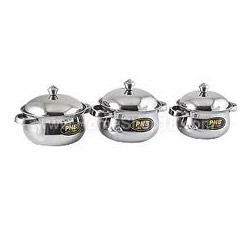 Leveraging on the support of sound infrastructure, we are able to come up with best grade DLX Sauce Pan. 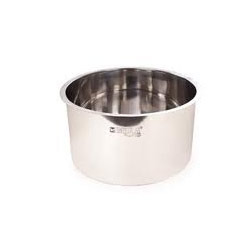 To ensure the peerless standards of offered sauce pans, we manufacture these by making use of the high grade raw material and modern machinery. Moreover, expert quality controllers monitor the whole manufacturing process of these sauce pans so as to ensure their synchronization with universally accepted quality standards. Being a patron focused organization, we are engaged in offering high grade Stainless Steel Tope. Patrons are rising the demand of offered tope as it is manufactured by making use of the quality assured raw material, sourced from the trusted vendors. In addition to this, we provide this tope as per the given specifications. Prior to dispatch, we check this tope under the supervision of professionals by making use of latest technology so as to ensure the presence of listed below features. We have in store optimum quality Flat Bottom Tope. Under the offered range, we provide copper bottom top, flat bottom top, pressing top, S. S. top cover, steel langdi, steel round bottom type, and surti tope. We manufacture the offered tope by making use of the quality assured metal and modern machinery, procured from the well-known vendors of the industry. To fit the requirements of patrons, we are engaged in offering high grade Prabhu Chetty. Our professionals manufacture the offered chetty by making use of modern machinery, latest technology and premium quality raw material, sourced from authentic vendors. After the completion of the production process, our professionals check this chetty so as to ensure its outstanding features. 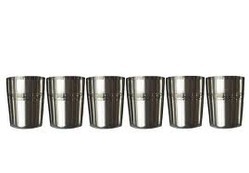 With the support of our professionals, we are able to provide patrons with quality assured Stainless Steel Handi. Patrons are rising the demand of offered handi as it is in-tandem with established quality standards. In order to ensure the same, we manufacture this handi by using supreme quality raw material, sourced from the authentic vendors. 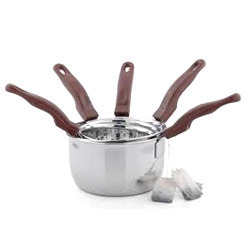 Our provided handi has narrow neck that makes cooking convenient. 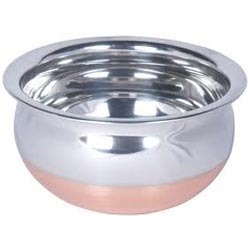 Our prestigious patrons can avail from us elegant looking Serving Handi. With an aim to stand tall on the expectations of patrons, we provide this serving handi in accordance to their given specifications. 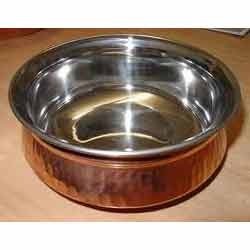 Moreover, to ensure that offered serving handi serves patrons for long, we manufacture this by using supreme quality raw material, sourced from the authentic vendors. We are offering our clients with alluringly designed Stainless Steel Serving Tray. 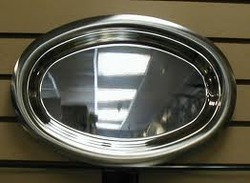 Under this range, we offer Stainless Steel Serving Tray to our valued clients. Designed using high-grade stainless steel and advanced machinery, these offered Stainless Steel Serving Tray are in compliance with the defined parameters of the industry. Furthermore, we precisely design these utensils while taking into consideration requirements of the clients and market demands. To meet divergent demands of the clients, we offer these products in different sizes and designs.